This week a travel hack for great coffee, are you CPR certified?…and a reminder to be safe during your #adventures. 3) Stay Safe This Summer! 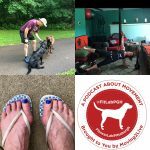 Give this weeks tips/hacks a view for some ideas to make movement a habit and not an extra…if you have time activity. 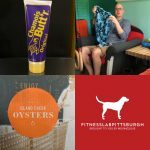 After 88 episodes of FitLabPGH and 40 from Moving2Live this week’s episode is something a little different…Ben Reuter, PhD, CSCS*D, ATC, Co-Founder and Host of the FitLabPGH and Moving2Live Podcasts. Ben is a faculty member at California University of Pennsylvania. An exercise physiologist, he holds certifications from the National Strength and Conditioning Association (NSCA), and the National Athletic Trainers Association (NATA). Ben has interests in injury prevention/performance enhancement for endurance athletes and using movement to enhance quality of life. After travels through Pennsylvania, Virginia, Kentucky, Georgia, Alabama and Florida for school and work he has been in the Pittsburgh area since 2004. Ben is an active contributor to his profession, with work on a variety of committees of the NSCA, as well as presentations and publications both nationally and internationally. 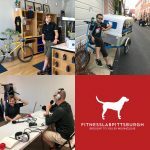 The idea for FitLabPGH came during a run with his dogs when he realized that there were a variety of national fitness and movement focused podcasts, but none limited exclusively to Pittsburgh people, business and activities. The 2018 NSCA National Conference will be held in Indianapolis, IN July 11-14. 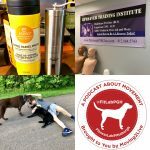 If you attend, please look for/contact the FitLabPGH/Moving2Live Podcast team! Enjoy the upcoming weekend and keep on moving!! Austin Bible is a LaPrima Espresso Company cargo bike rider, an avid cyclist, a runner, and two-time winner of the Crush the Commonwealth cycling race. Movement is part of what makes your life complete. 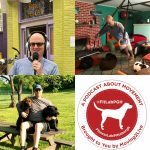 Each week our podcast brings you a new interview on Sunday and MWF movement tips and lifestyle hacks. Enjoy the upcoming weekend and keep on moving!! 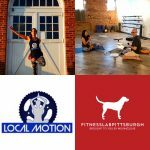 Local Motion Fitness is a Cycling, Yoga, and Fitness studio located near the waterfront in Homestead. In addition to cycling and yoga, they offer barre, boxing, and HIIT classes for all ages and fitness levels. Their 3700 square foot facility has a heated yoga room, cycling room, changing rooms and bathrooms, and a local coffee shop (Steel Valley Roasters) in front where their members can socialize before and after class. We interviewed Co-Owner Laura Fonzi. Laura has been a fitness instructor and yoga teacher since 2002. 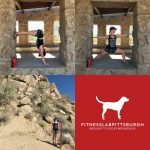 She earned a Master’s degree in Exercise Physiology from the University of Pittsburgh and has been a faculty member teaching in the Department of Health and Physical Activity since 2007. 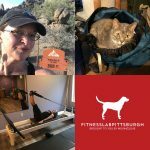 Laura has extensive knowledge of exercise and the human body and years of experience working with people of all ages and fitness abilities. She has a passion for helping people to make healthy, and most importantly, sustainable lifestyle changes. Laura’s hobbies are mostly comprised of being a boss while running after her 4 children with her husband, Mark. This week we took Monday off to celebrate the Memorial Day weekend…of course we included movement…then we bring you ideas from Wednesday and Friday about how to keep moving while on vacation.